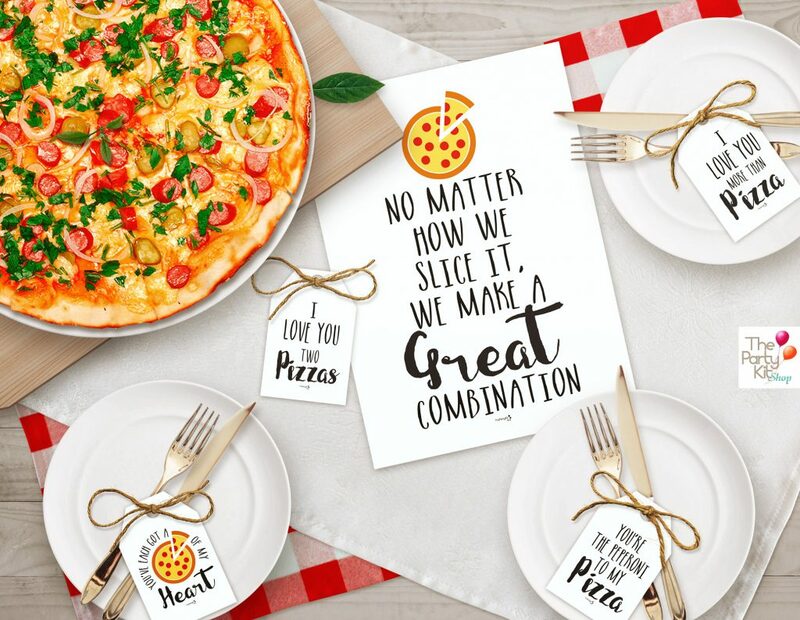 Who’s in for a Valentine’s Family Pizza Party? I sure am! I don’t know about you but since our boy was born (he’s seven now) we like to include him in our Special Celebrations like Valentine’s, Anniversary, etc. Times flies so fast that he is the one to be asking us to rather go out with his friends lol. 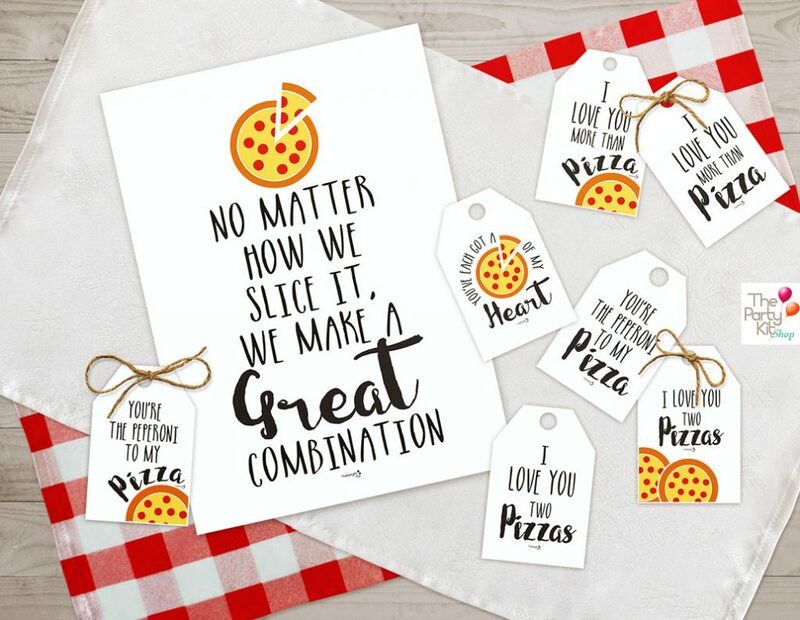 This year I am planning a Valentine’s Pizza Family Dinner with lots of pizza, some wine and lots of Love! 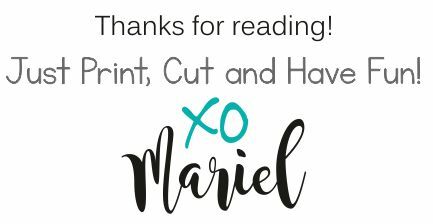 So I designed a fun and cute printable set of table sign and 7 Tags with different designs that can be used for example wrapped around the cutlery. 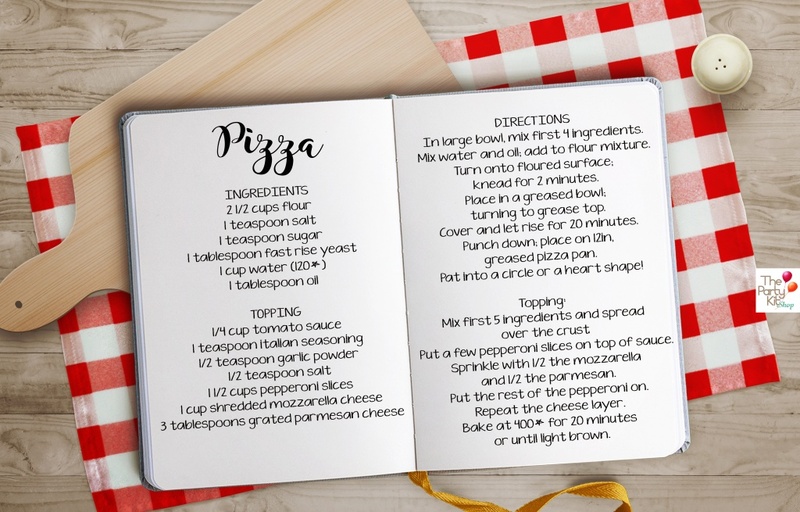 You can buy the pizzas or make them from scratch at home! it is very easy and the kids would love to get involved! 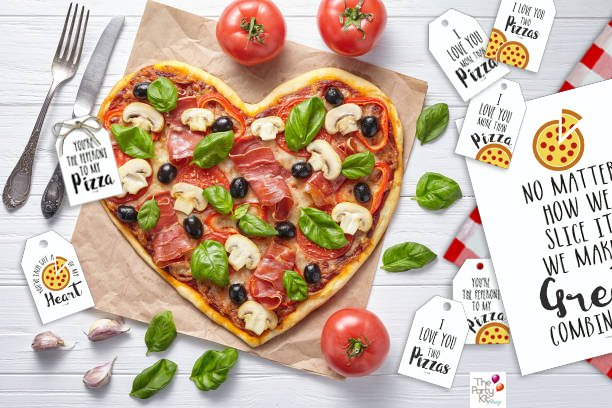 if you do it at home why don’t you make a heart shaped pizza? it would really be a plus! sharing with you a very simple recipe that i usually make at home!